I've had a challenge with shipping lately. Our UPS bill has been coming in every week with surcharges we're being assessed for "dimensional weight." No longer is a one pound box one pound. It's most likely 2 or 3 or 6. You know those measurements on the bottom of boxes? According to UPS, they're WRONG! They tell us that those are the interior dimensions & not what shipping costs are based on. Starting this year, UPS is charging by size before weight. Their representatives insist FEDEX has been doing this for the past twelve months. Since my business does not use FEDEX as a regular carrier, I wouldn't have known this. You say the Post Office is cheaper? It can be. But definitely not always. Sometimes the difference is minimal. Sometimes it is significant. Very light boxes sent to a residence are almost always cheaper through the Post Office. Very heavy "one rate" boxes are also a bargain through the Post Office. 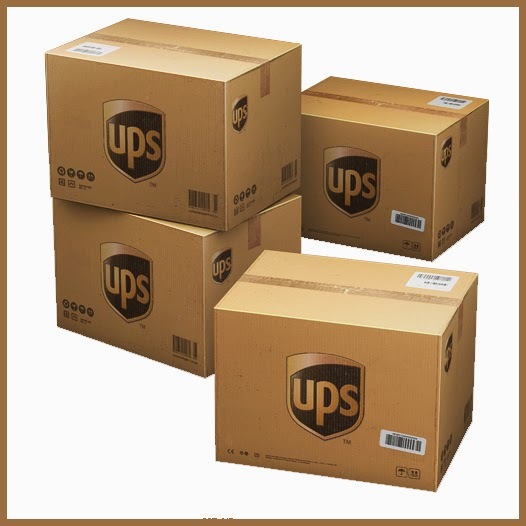 Other sizes and weights often cost less through UPS or FEDEX. Perhaps there is a special software that evaluates which is most economical given the size, weight, destination and location status (residential vs business). It is definitely something I need to look into. But when you run a small business without a big shipping department, it is almost impossible to have the time to evaluate each parcel on its own merit. One more thing I learned today....from my UPS representative. Throw out the rules of math you learned as a kid. In school, I learned you rounded down from .4 and up above .5 - so 12.4 was rounded down to12. And 12.5 was rounded up to 13. UPS rounds everything UP. So, 12.1 is 13. 12.4 is 13. So - back to those boxes. A box printed on the bottom 14x8x8. You know how they aren't always glued perfectly. The box I measured today was 14.1x8.2x8.5 - so for UPS - that is a 15x9x9 box. Is there any leeway in their machinery calibration? I have no idea. But looking at UPS software - 14x8x8 will always ship at 6 pounds or more. 14x9x9 will always ship at 7 pounds or more. 15x9x9 will always ship at 8 pounds or more.